Fall is a great time for delicious soups and stews that can be enjoyed as the weather gets cooler. Now is the perfect time to dig into the fall recipes that will keep you warm and satisfied on the cool nights ahead. 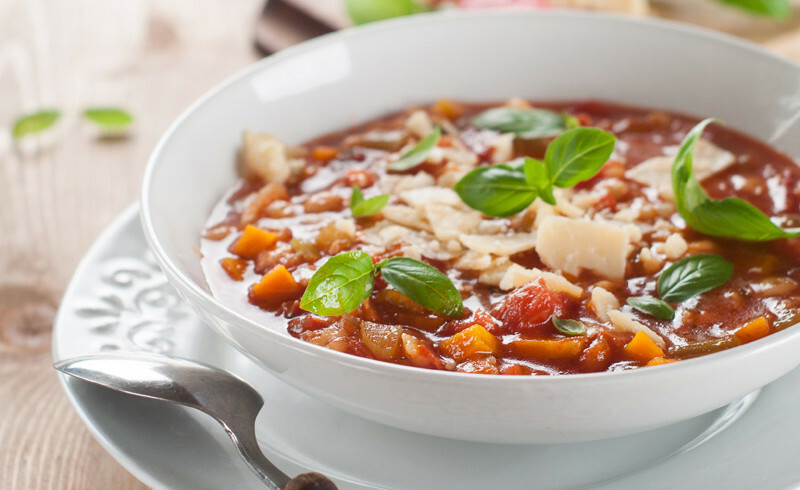 A hearty vegetable soup is a satisfying and nutritious yeast free recipe for the Candida Diet cleanse. While some yeast free meals can leave you feeling empty, I always enjoy the way this vegetable soup satisfies my cravings and warms me up. Heat olive oil in a large pot and brown soup bones on all sides. Add onion and sauté. Add water (or ¾ full in pot), bring to boil and let simmer for at least 4 hours (until soup-bone meat is tender). Take out soup-bone meat. Strain for pure broth. Let meat cool, cut in small pieces and return to pot. Add rice, barley, carrots, turnip, beet, cabbage and potatoes. Cook for 1 hr (or more). Then add tomato, green onions or fresh chives and seasonings. Cook until all veggies are tender. *For vegetarian simply leave out the beef soup bone. People who like the recipe above also like this – Candida Diet Recipe – Chicken with Asian Vegetables. For more delicious yeast free meal ideas check out The Candida Diet Cookbook. Many of these ingredients I am not supposed to eat, eg., the potatoes, barley, and beets. I also tend to react to rice, so even though I love it, I have had to cut that out. I know I can add other veggies instead, tho. Do you know where I can get yeast free bagels? This veggie soup recipe is excellent. Not only will it be warming but also very filling. I have experienced real hunger through being on such a restricted diet ………… but there, we can’t have everything. My health is so much better since I started the yeast free diet back in June of this year.